The Quy Hoa Leprosy Village was once a place of exile. It still shelters residents from long-standing social stigma. Google "interesting places" to visit in Binh Dinh Province, and just about the first place that comes up is the Quy Hoa Leprosy Village. That’s how Taiwan-based Vietnamese photographer Andy Ip Thien ended up in the outskirts of the province's Quy Nhon City in central Vietnam. Tugged into a valley by the sea, the quiet village with a few hundred houses encircles the Quy Hoa Leprosy Center - Dermatology Hospital. Among more than 1,000 residents, over 400 are leper patients from across the country who’ve settled in the leprosaria for treatment. "The place has, I believe, the most beautiful beach in the area." Andy Ip Thien found this place by accident during a visit to Quy Hoa last August. 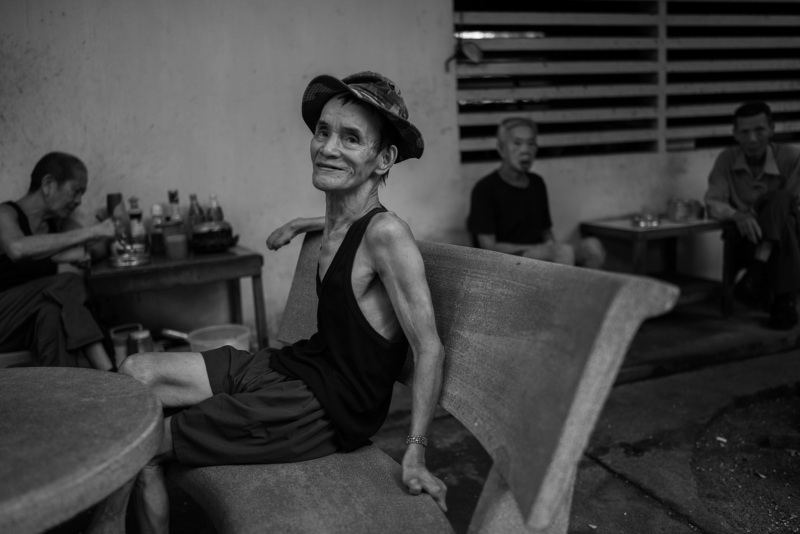 In Thien’s eyes, the colony is more than an extended hospital. Quieter than any village he has been to, it carries all traits of a fishing village, and that of a holiday attraction with its sun-kissed beach, but it also breathes as a living leprosy museum in Vietnam. 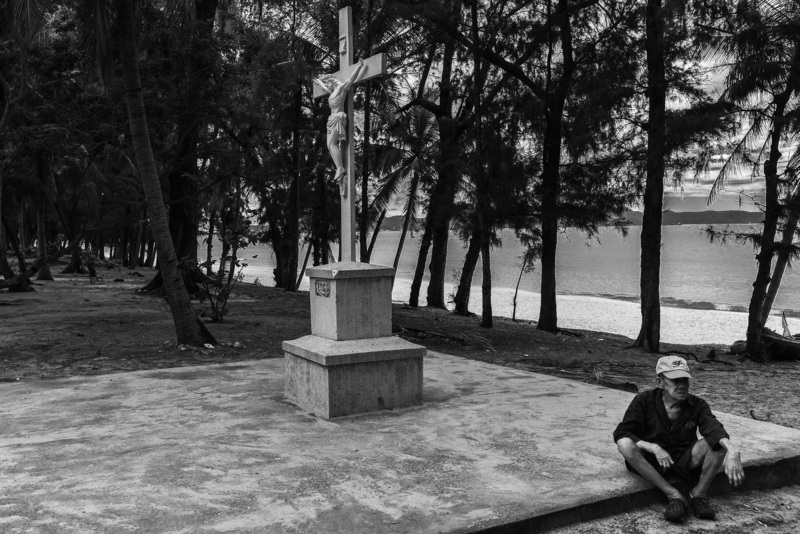 Inside the Quy Hoa beachside village, founded and run for decades by French missionaries. 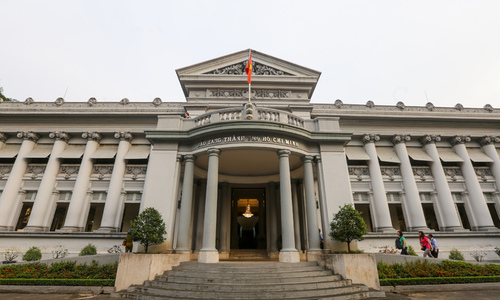 Quy Hoa was established in 1929 by a French priest named Paul Maheu as a special facility for those afflicted by leprosy, under the colonial government’s healthcare system. A year later, the Colonie agricole de Qui-hoà recorded housing 30 patients. Then, Indochina, with a population of 20.5 million, was estimated to have around 12,000 lepers. Among them, there were nearly 10,000 Vietnamese, with 3,000 in CochinChina (the South), 3,550 in Tonkin (the North) and 3,000 in Annam (the Central), making a ratio of 0.58 per 1,000 inhabitants. 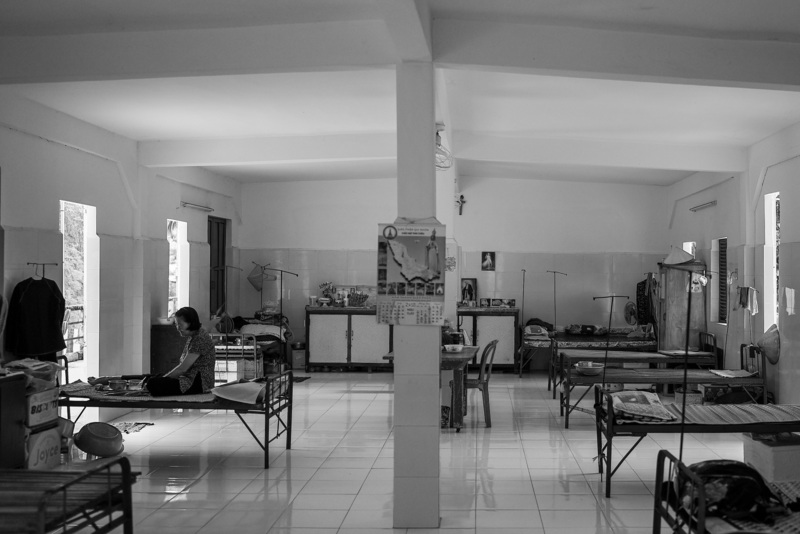 People with leprosy in the live-in facility in Quy Hoa. Most of them are seniors who’ve lived here for years. Like elsewhere in the world, leprosy used to cast a long, dark shadow on those who were afflicted with the disease in Vietnam. 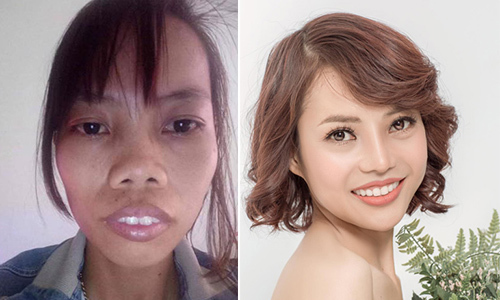 Before it was acknowledged a treatable infection caused by a bacteria called Myobacterium leprae, Vietnamese traditional medicine listed it as one of the four incurable diseases, alongside with liver cirrhosis, tuberculosis, and cancer (phong, lao, cổ, lại). 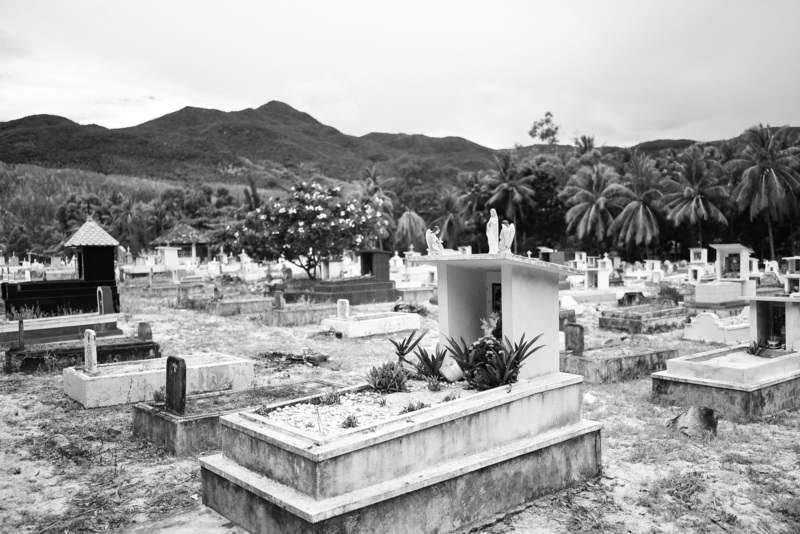 A cemetery in Quy Hoa. The "incurable" disease had horrible symptoms - as the disease progressed, it resulted in a lack of ability to feel pain and temperatures, and led to visible disfigurements and several disabilities. 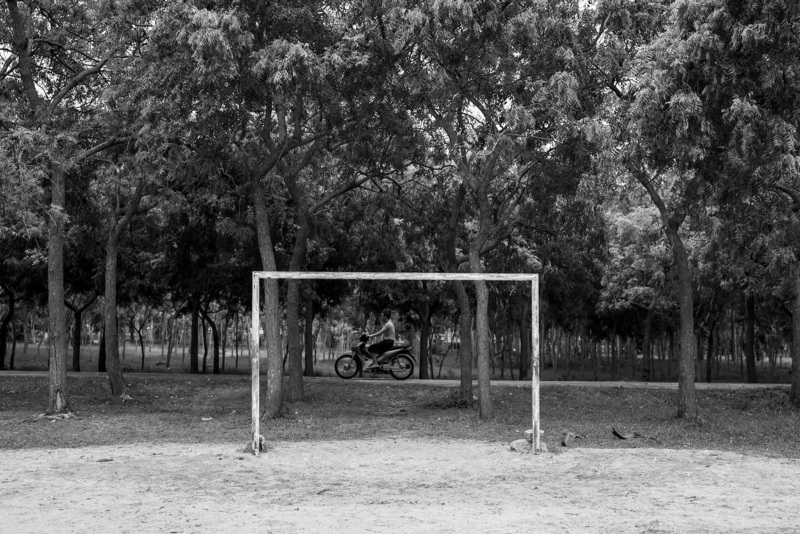 In Vietnamese society, leprosy came to be seen as a curse on the afflicted and their families. People with leprosy and the belief that it was highly contagious resulted in the shunning of patients as well as their relatives. In the old days, people with leprosy were not just ostracized, they were subjected to extremely cruel actions around the world. Some were buried alive, bagged and thrown into rivers and abandoned in jungles as prey for wild animals. With the opening of leper colonies across the country early in the last century, the community found a place to quarantine the infected, while the sufferers, although exiled, received some medical treatment. These places also became sanctuaries from social stigma and shame. 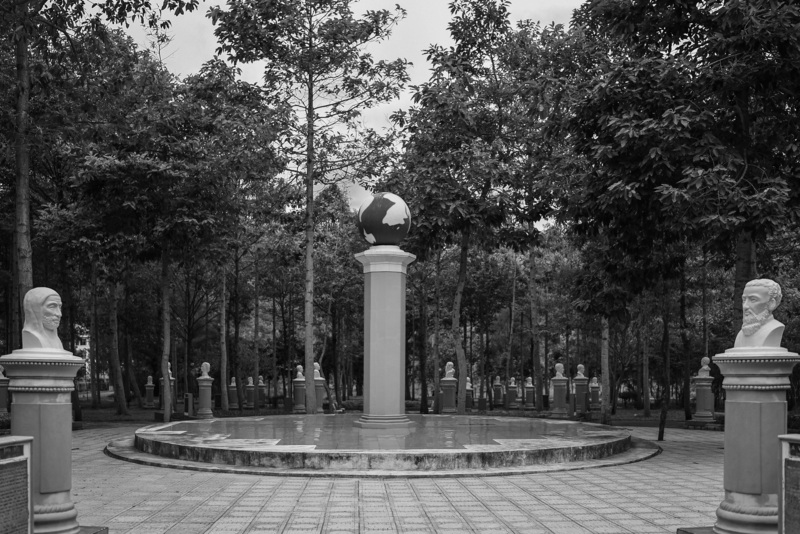 When Quy Hoa was established, it was one of 15 leprosarias and colonies set up across the region in 1930. 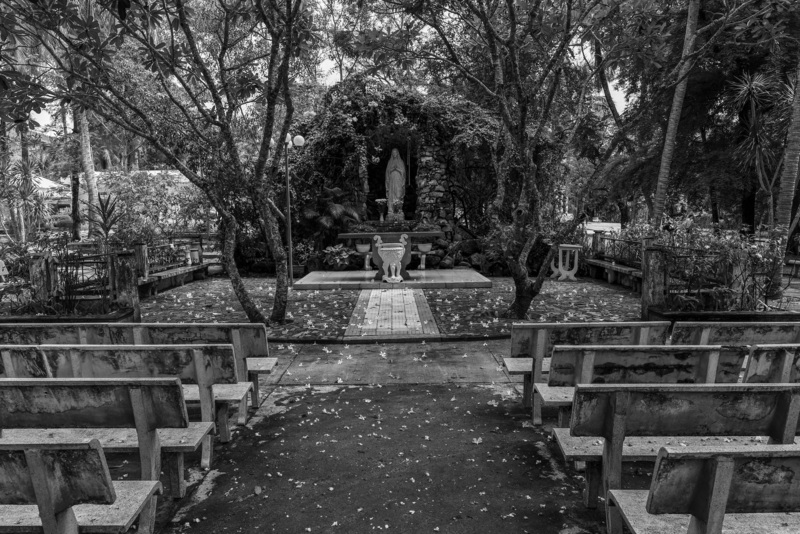 The facility was taken over in 1933 by French nuns, who developed into an enclave with medical facilities, houses and a church, covering a vast area of 150 acres. Since 1975, Quy Hoa has been run by the state. 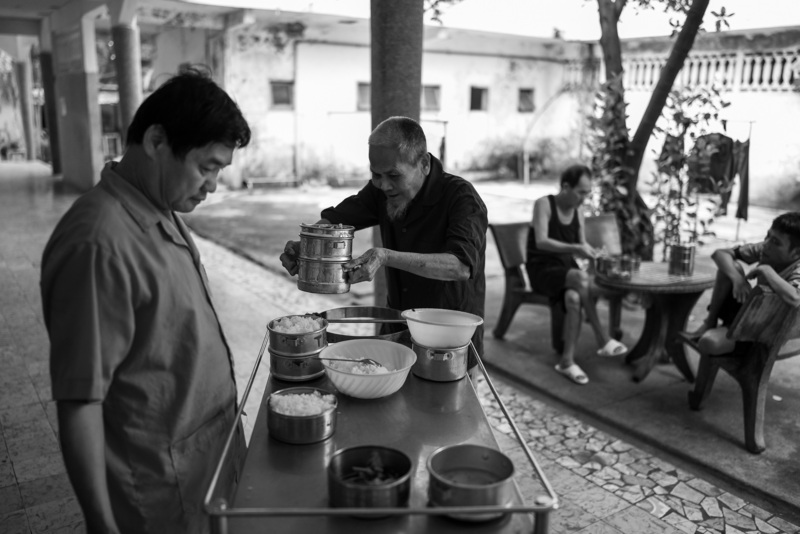 Patients have lunch prepared by the facility’s staff - rice, boiled vegetables and salted sea fish. 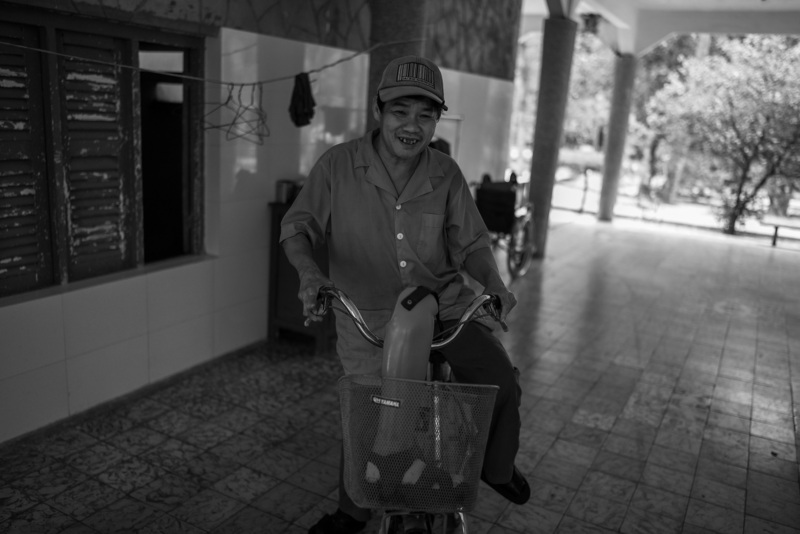 Patients in Quy Hoa seem no strangers to cameras, Thien found. 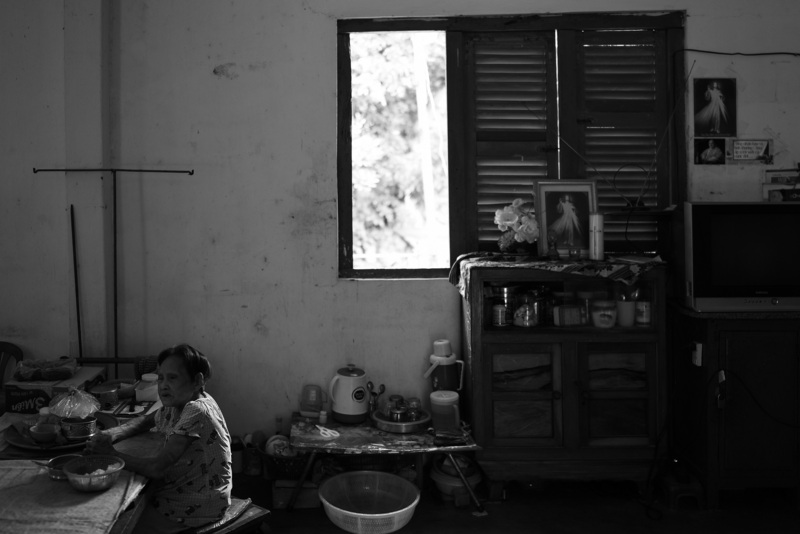 People with leprosy in the live-in facility in Quy Hoa. "The patients I met had no desire to hide their disfigurement," Thien said. "Some deliberately held up their footless or armless limbs to me and to the camera. I think that’s a way for them to call for support from the outside world." Charity has also become part of the income of the patients, who live on meals provided by the facility and on modest subsidies from the state. Dinh Ha Ly, 47, and his nephew, Dinh Van Thay, 38, moved to the village more than 20 years ago after contracting leprosy. They told Thien that they receive VND300,000 ($12.85) per month each as subsidy from the government. 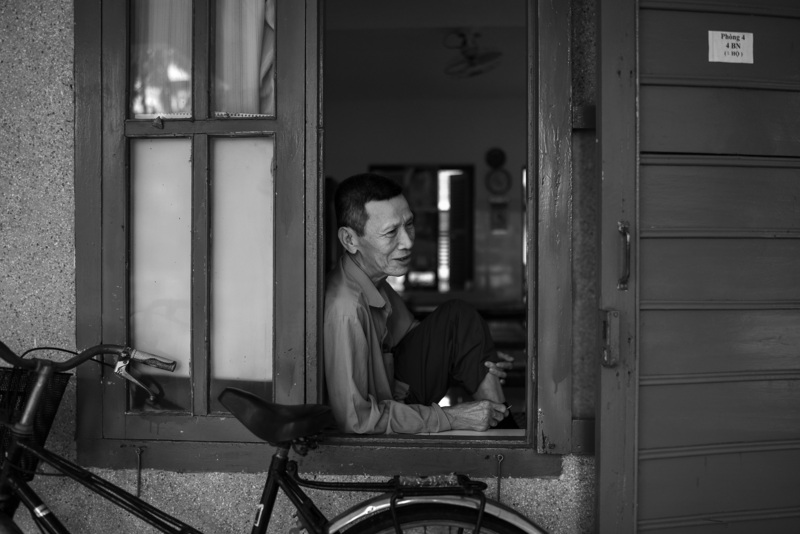 Today, leprosy is no longer a major public health issue in Vietnam. Nguyen Van Tao, 85, a patient from the neighboring province of Quang Nam, and his wife Nguyen Thi Phuong, 75, who came to the village to take care of him. They came to Quy Hoa more than 50 years ago. The number of cases nationwide has dropped significantly after the World Health Organization’s introduction of a multidrug therapy in 1980s. From over 38,000 patients in 1983, the number dropped to 572 cases in 2006. The treatment takes only six months to a year, with a medical cure is almost certain and the loss of parts of extremities can be avoided. Isolation has become unnecessary. People with leprosy can now be treated for free at home, and only those showing major complications need to get inpatient treatment in the facilities. Yet, despite the medical advancement and concerted public health efforts, the deep-rooted prejudice and social ostracism have not disappeared. 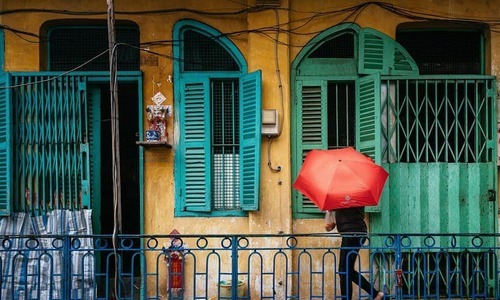 Residents of the 19 leprosarias and 16 colonies like Quy Hoa all over the country prefer their isolation now. "Life here is more comfortable than at home," said Cam, a 61-year-old patient from Ho Chi Minh City living in the facility. "Most of us lack confidence outside, as others stare at our crippled bodies." Cam, 61 years old, a Saigon native and Quy Hoa inmate (L), and a photo of her son’s family (R). "Here all are lepers, making us a community," she added. "It’s sad living away from one’s family, but life’s easier for us." Some others have had close family members move in with them. 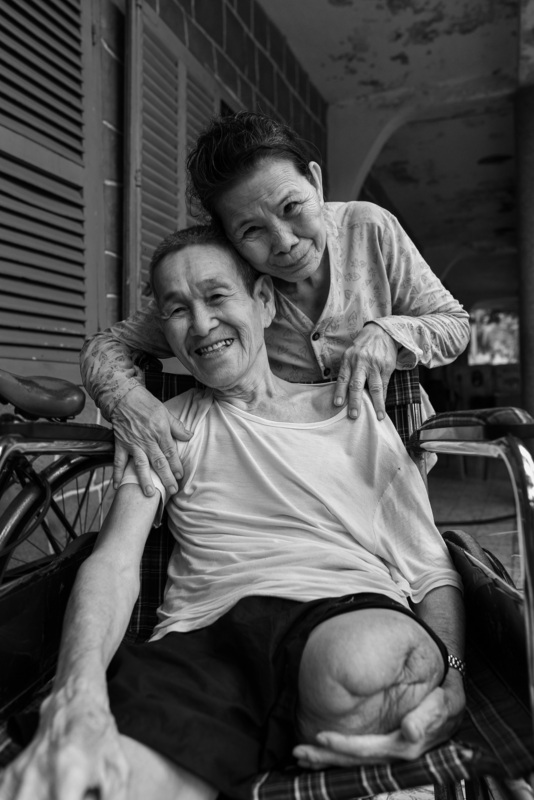 Quy Hoa residents include relatives who also settle there after taking care of loved ones during their treatment. 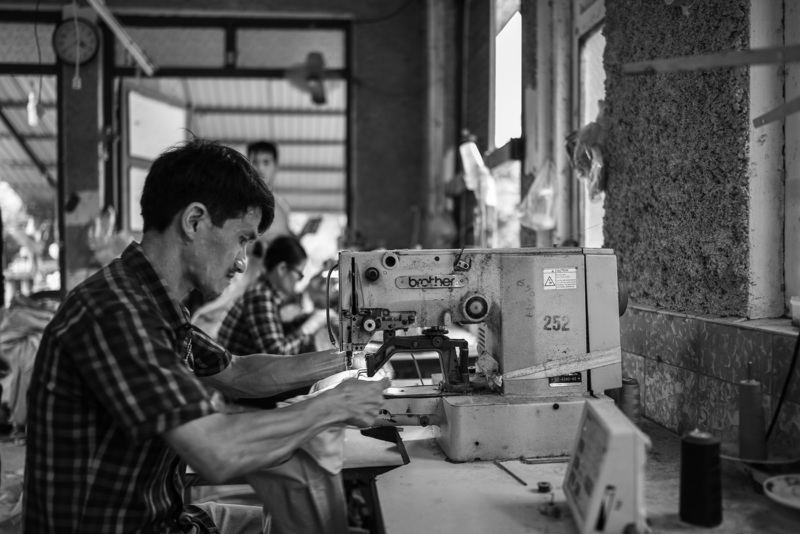 A garment factory inside Quy Hoa "Leper Village", which recruits patients and former patients. 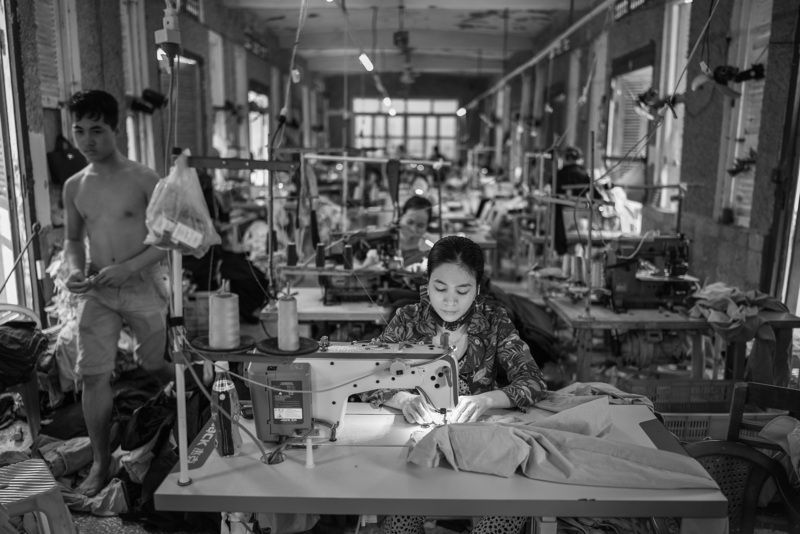 Some other workers are from neighboring villages and the nearest town, Quy Nhon. A few cars parked in the village are rare intrusions from the modern world. Typically, these belong to families who pull over to enjoy the serenity and have a picnic, Thien was told. 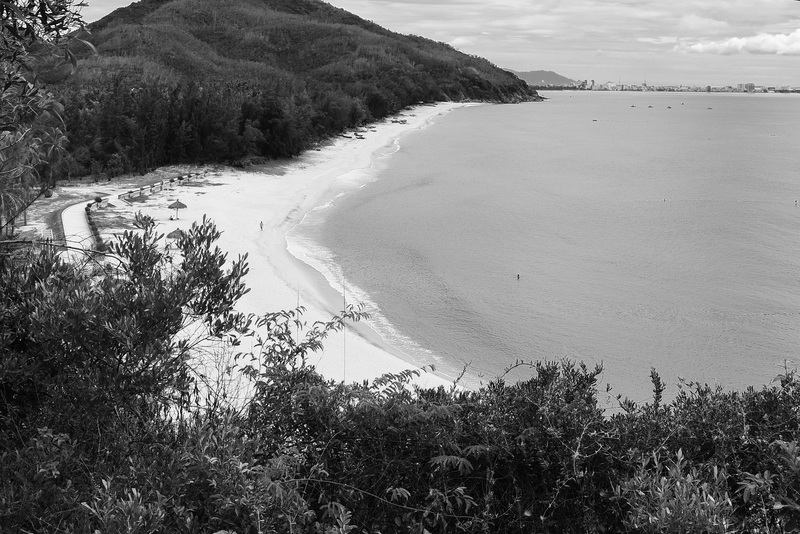 The beachside village has survived the mass-tourism wave that has struck most of Vietnam’s coast in the last decades. "There is no hotel, no restaurant, only a serene beach and quiet compounds and residential houses. And the locals seem used to strangers wandering in with cameras. They just let them be," Thien said. 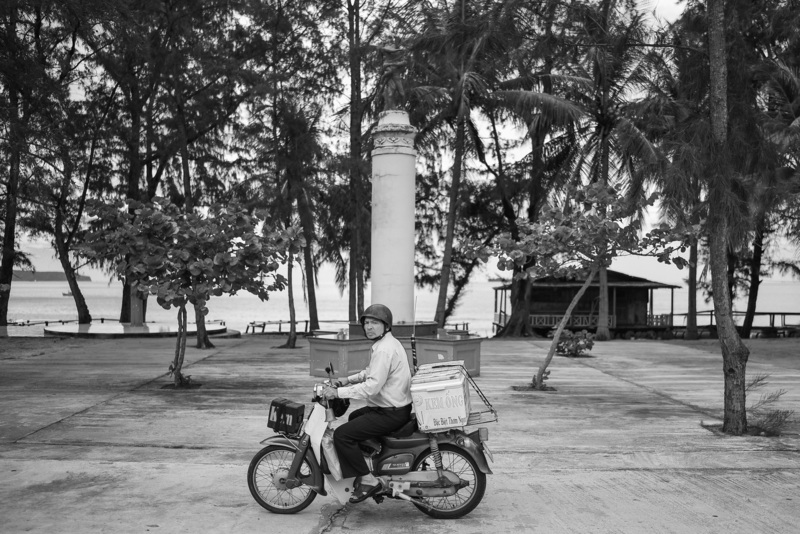 Thien left the quaint village just before sunset. He plans to return in the near future for a "deeper look and a longer walk." Click on buttons on the right to see more photos.